With snow and ice causing some disruption across Calderdale over the last few days, and temperatures to stay low, what are your working rights when snow hits? While the prospect of missing school to spend the day sledging or building a snowman may thrill young children, for working adults snow days can mean considerable upheaval to their working lives. This can include the cancellation of public transport, having to re-arrange childcare for little ones and the general dilemma of whether to risk the commute in hazardous conditions. With the Met Office issuing warnings for the majority of the country over the course of the next few days, what are your rights if the adverse weather prevents you from getting to work? Neil Tonks, Legislation Manager at leading HR firm MHR answers some of the frequently asked questions. Can my boss force me come in to work if the weather is bad? It is always advisable to use common sense to determine whether to attempt making the journey to work. Your boss cannot make you attempt a journey that is unsafe. The only exceptional circumstance is if they provide your transport to and from work. Your contract, HR guidance or staff handbook should include an adverse weather policy which outlines your company’s stance should you genuinely not be able to get to work. In most cases this will include the option to take it off as unpaid leave, time in lieu, annual leave holiday days, or work from home. If you make every effort to get to work and are simply unable to do so, then most managers should be fair and reasonable, and not expect you to attempt to travel. Will I still be paid if I can’t get to work? 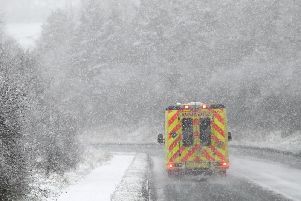 Employers have no legal obligation to pay you if you are unable to get to work because of the bad weather. As an employee it is your responsibility to get to and from work. If this is not possible, for whatever reason, then your employer is entitled to mark it down as an unauthorised absence. Again, in instances of snow they will more than likely be fair. Should the weather force your boss to close your workplace, then you are still entitled to be paid and it cannot be marked down as holiday. However, your employer may request you to work from home or at another workplace if they believe it is easier or nearer for you. What if my child’s school is closed? If snow disrupts your normal care arrangements then you are entitled to take a reasonable amount of unpaid time off work – this includes the unexpected closure of your child’s school or nursery. However, it must be noted that this is not time off to look after the child, but to make alternative arrangements for their care instead. If the school is expected to be closed for a few days and you are unable to make alternative arrangements with friends and family, then you may be able to use your annual leave at short notice or arrange with your employer to make the time up at a later date. Do I have to use my annual leave to cover days off for bad weather? Legally speaking, no! If you are unable to make it to work at short notice then you may wish to take it as paid annual leave rather than unpaid leave. However, unless it is outlined in your contract or company handbook, your employer cannot make you take it as annual leave unless they give you notice. 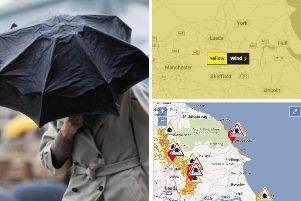 If there is advance warning of severe weather and your employer requires you to take it as holiday, then they must provide two days’ notice for every day of leave that they request you to use. I hate working in the cold. Do I have to work if my workplace is too cold? The Health and Safety Executive states that employers are legally obliged to provide a “reasonable” temperature in the workplace, under the Workplace (Health, Safety and Welfare) Regulations 1992. For office environments the temperature must be at least 16c, while in environments that ‘involve rigorous physical effort’ the minimum temperature is 13c.